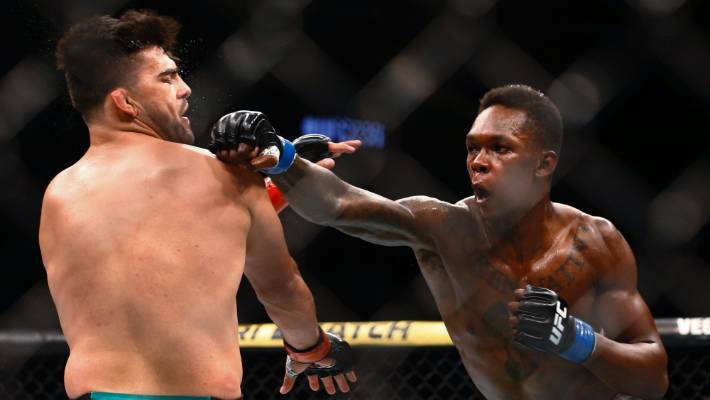 Israel Adesanya clinched the UFC interim middleweight title on Sunday after defeating Kelvin Gastelum at the UFC 236 main event in Atlanta. Nigerian-born fighter was declared winner of the titled through unanimous decision in an epic five-round fight. Adesanya continued to knock out Gastelum late via a unanimous decision (48-46, 48-46, 48-46) following a see-saw battle at State Farm Arena in Atlanta. After a bloody fight between the two, Adesanya was declared winner via unanimous decision (48-46, 48-46, 48-46) to win the UFC interim middleweight title.